NOW AVAILABLE IN PRINT! 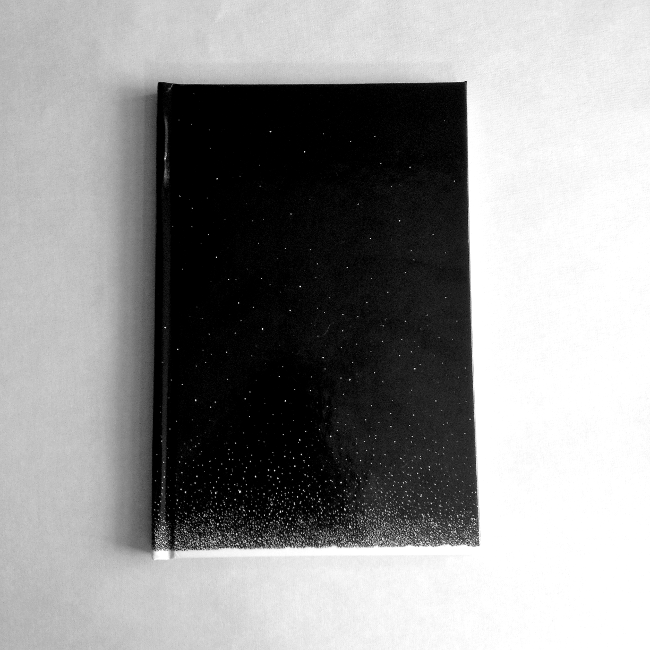 Cold Winter is now available in a 6x9 hardback print format. Please Note: The print option says 'Hardcover Color Book (Standard Heavyweight)' but this book is not in color. 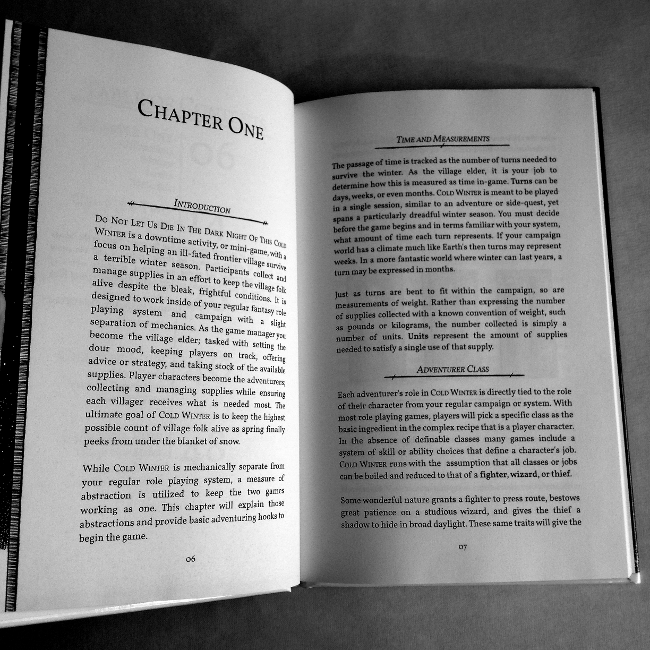 In order to make sure the book is the best possible quality it is printed on thicker paper than the thin, standard paper that most black and white books come in. If you receive a bad printing of your copy of this title, please go here and request a refund or new printing. At it's core, Cold Winter is rules-light survival mini game for your fantasy role playing campaign. A doomed village is short on fuel, food, and medicine and the adventurers must strategically collect these supplies to keep the village folk from dying frozen and hungry in their beds. The game is lightly abstracted to fit in nearly any existing medieval fantasy role playing system just like a side quest or module would. Cold Winter uses a unique set of simple rules that create a tense atmosphere while adventurers plan each turn and fight against the nightmarish season. 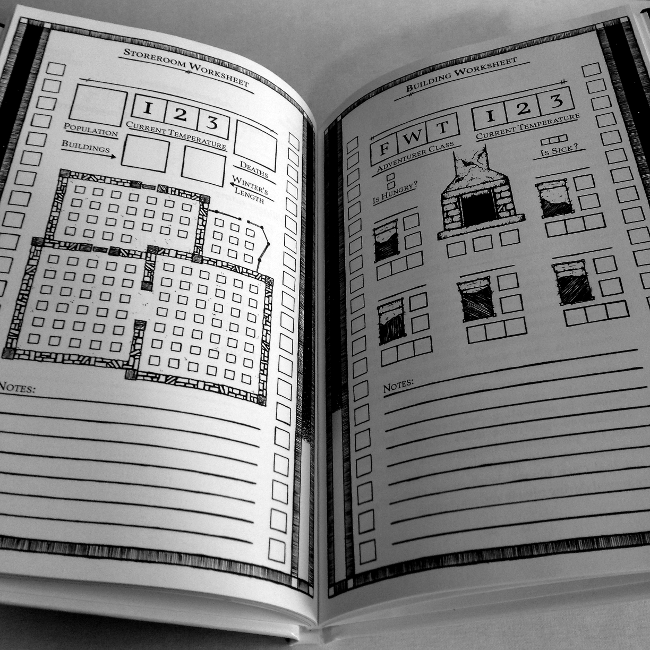 This product also comes with a set of map tiles for creating your own village map. Go from reading the rules to playing in less than an hour! A game with 4 adventurers will last just under two hours. 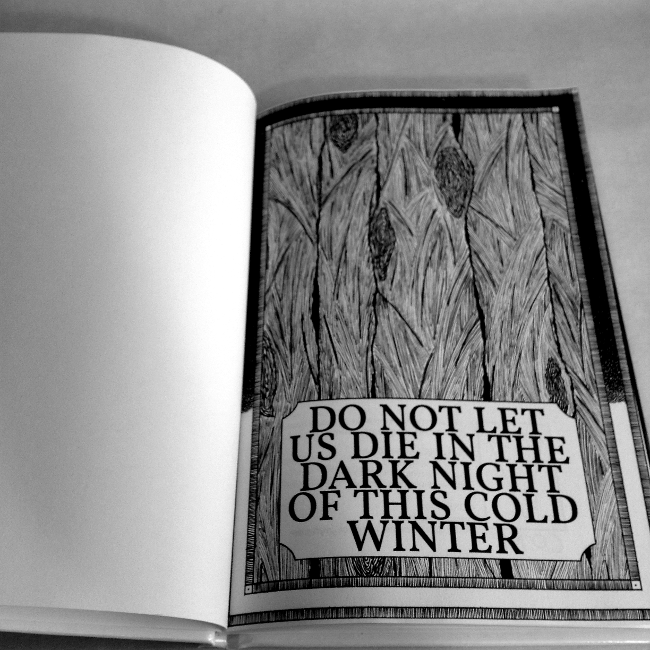 Do Not Let Us Die In The Dark Night Of This Cold Winter is a downtime activity, or mini-game, with a focus on helping an ill-fated frontier village survive a terrible winter season. Participants collect and manage supplies in an effort to keep the village folk alive despite the bleak, frightful conditions. 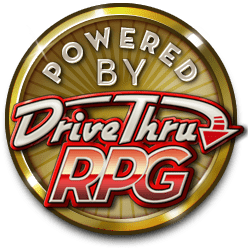 It is designed to work inside of your regular fantasy role playing system and campaign with a slight separation of mechanics. As the game manager you become the village elder; tasked with setting the dour mood, keeping players on track, offering advice or strategy, and taking stock of the available supplies. Player characters become the adventurers; collecting and managing supplies while ensuring each villager receives what is needed most. The ultimate goal of Cold Winter is to keep the highest possible count of village folk alive as spring finally peeks from under the blanket of snow. Interested in knowing when the print version is ready? Click the checkbox on the left side of this page to receive notifications and updates from CONE. Really awesome mini game. I will be running it as part as a new years game this year. Are you planning on releasing any other mini modules like this? I bought this based on a reddit post, we should be doing it in the next session or two in my Fantasy AGE game I'm running. I plan on having the group be in charge of this small group of people and as a reward they will get their 4th level specialization training (if their trainer survives!). This will be a great addition and I fully expect everyone will enjoy the change in pace and the different storyline it will introduce. Thanks for your work on this! That's awesome! find me on twitter and show me a picture of that village! i'm @swordpeddler, or link it to me somewhere else! For anyone who keeps checking back for the POD version - what will hopefully be the last proof to check is on the way to my house now. The good thing is, I live minutes away from the place that prints it, so if the proof is bad it shouldn't be too long to fix and bang out. Awesome game! I already have ideas on how use this with my group; maybe I could even run it as part of a whole story arc, where adventures happen between Cold Winter turns. I could even see this being used in a post-apocalyptic game with only minor edits, probably just to the occurrence tables. I also had an idea for a sci-fi, crashed spaceship kind of game where this concept would work really well, but I'm not sure how to convert the Fuel resource in a satisfying way. Take a page from Command & Conquer, and you could use some kind of crystal or something for fuel to keep oxygen tanks going. Replace the houses with living pods or something like that. Glad you like it! Any chances for a print version? Yes! I ran into a lot of trouble during the proofing process for this, and then got caught up working on another project that I will be wrapping up here in about a week. Goal number one after that is getting the POD version out there. Thanks! Thanks for the reply! Good to hear that we'll get a print version! I'll be sure to get it! What's this mystery other project? Commission stuff or another CONE original? Also looking forward to the POD!